I've seen all sorts of shows, plays, operas and concerts this year. I've been very lucky. Musically, the highlight was undoubtedly Igor Levit playing the Shostakovich 24 Preludes and Fugues. 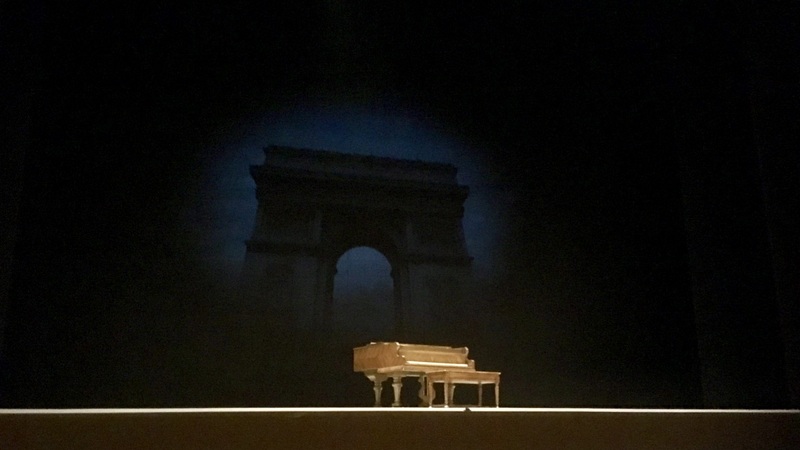 It was two and a half hours of magic: that I was on the front row, inches away from the Steinway was a glorious addition to a perfect evening. One I will not forget. I also loved the two-parter Harry Potter play, and Amadeus at the National at the beginning of the year set a really high bar as to my theatrical expectations. But there were three musicals that stood out for me in 2017, three shows that will stay with me for all sorts of reasons. No musical hoofing here, this is a show where the dance is ballet. The leads (Robbie Fairchild, Leanne Cope, phenomenal) are ballet dancers who are doing their first show. It shows - not in their acting or singing, which is as good as any anywhere, but in their dancing which is stunning. I heard people disappointed in the interval. DISAPPOINTED!!! What did they want, blood? No - they wanted 42nd Street. It's not that. It's sublime. The interplay of the three male leads, the central love story, and the final ballet sequence made me want to stand a cheer and cheer and cheer. This is what you pay to see a show for. I went again. And second time I was on the front row. From the circle I saw the shape of the choreography; from the front row I saw them dance with their faces. Beautiful. Beautiful. In 1988 I dragged two friends to see Follies in the West End. Julia MacKenzie, Diana Rigg et al. A star-studded cast, and my first full-blown Sondheim. I loved it. They kind of enjoyed it. 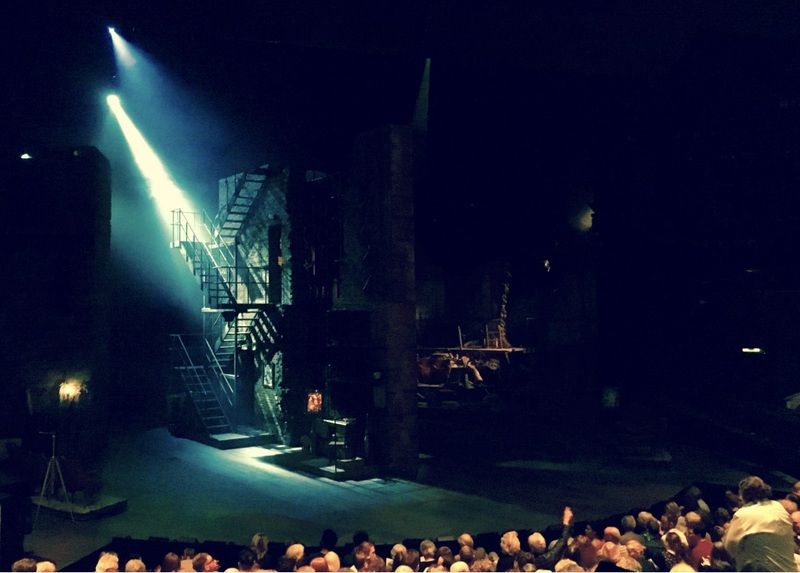 Follies at the the National is sensational. The best acted and best sung production imaginable. Not star-studded, but properly cast (and that's not to disrespect Imelda Staunton or anyone else - but it does avoid stunt casting), and with the younger actors constantly shadowing their older selves like ghosts of the questioning past, it sends endless shivers down the spine. The madness of regret - the follies of age and youth - are played out remorselessly before an audience that applauds every last emotional mistake. A stunning theatrical triumph. 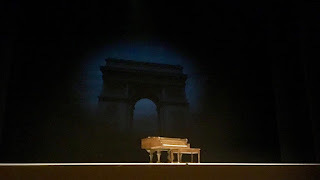 As with An American in Paris, the second viewing was even more powerful than the first. I got (for the first time) how the 'review' songs actually comment on the unfolding catastrophe of the two main couples' lives. It's a show where nothing happens and everything happens, where the show we put on for everyone else finally crumbles to the reality of who we are and where everyone sees the theatre of our lives pulled down - and no-one notices. It's bombastic. It's nuanced beyond belief. It's a marvel. When I told friends here last January I had booked to see Hamilton, they said, "What's that?" 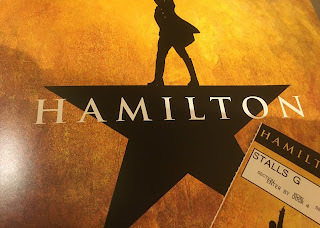 When I told them this week I was going to see Hamilton, they said, "Wow! How did you get tickets!" I booked because a friend in the US went to see it on Broadway. It's not the kind of thing I'd expect her to like. But she came away raving about it. So I wanted to see it for myself. It's a sung-through show, like Andrew Lloyd Webber or Les Mis. Not like AiP or Follies. And - the publicity tells you - it's hip hop. So it doesn't sound like my kind of thing. But Hamilton is for me no Lloyd Webber show; and though I know someone (an otherwise sane someone) who has seen Les Mis more times than she's celebrated Christmas, Hamilton is considerably a better show than Les Mis. (I agree with Doctor Who on Les Mis - life's just too short.) And it's a lot more than a hip hop show - though - oh my - what power that music has, and how incredibly is it deployed. First: the experience. Lots of the crowd know the show beforehand. (Given I went in the first week, I guess they were really keen, so they have the recording.) It felt much more like a karaoke show than AiP - but that was because of the frisson in the crowd, which made Hamilton - first time West End actor Jamael Westman - feel like a pop star when he stepped forward. It was indeed worthy of the standing ovation it received - my only feeling was that the crowd should have kept going longer. The players deserved more from us. Then: the show. From the moment it began, it was sensational. It has a power, a rhythm which sweeps you along. The music is varied, the words are profoundly clever, and if at times I found myself wanting more emotion than I was getting - it came. And if I found myself wanting a change of pace, a little light and shade, it too came. From the relentless to the heartbreaking. From the politics to the personal. Westman is impressive: head and shoulders taller than many of the cast, he holds himself with an enthusiasm and an authority that grows and is shattered as the evening passes. Terrific. The colour-blind casting is beautiful. A vision of how humanity can be. Of how a nation could be. Should be. If anything, it draws attention to the way in which all the action is driven by men - the women are very secondary - till the very end. And then, one of the main themes of the whole show - who gets to tell the story - is thrown on its head and the woman's voice rings out and re-tells the truth. Beautifully, heartrendingly, better. I want a musical to entertain, to raise me up, to make me cry, to make me laugh, to engage and to amaze. All three of these delivered in spades.